Seniors at the J know how to have a good time! From enjoying the occasional therapy dog visit, to lunch with the Early Childhood kids, enjoying special guest speakers, playing a good ol' game of "mahj", or watching exciting performances at the award-winning Sheldon Vexler Theatre, there is never a dull moment to be had. 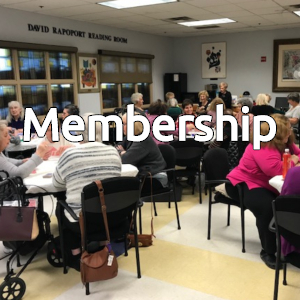 The JCC provides transportation for members ages 65+ who live in the surrounding area to the JCC for daily programming and special events. To find out if your area of residence qualifies for JCC transportation, please call the Senior Center. The JCC's transportation services are partially funded by San Antonio Jewish Senior Services. JCC Seniors enjoy a delicious, healthy kosher lunch four days a week for only $3. The lunch program is funded in part by the Jewish Federation of San Antonio and San Antonio Jewish Senior Services. Download April's Senior Moments newsletter and lunch menu to see what's planned for today! Activities include friendly games of Mah Jongg or Bridge, crocheting, arts & crafts, classes, and more. The first and third Thursday of the month at 1pm, join us for Silver Cinema - a free film screening that includes popcorn, coffee, water, and tea. To find out what film is screening next, call (210) 302-6860. The Jewish Genealogical Society meets the third Sunday of every month to gain the knowledge and tools needed to explore their family histories. Call the Senior Center for information about membership. Each semester, a selection of limited-time and single-meet classes are scheduled, offering a little variety to the everyday programs. Some classes may be registered for online. To view a current listing of Adult Enrichment classes available, click the Register button below or view the latest publication. 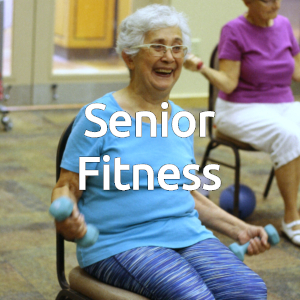 For more information about Senior Services at the JCC, please contact the Senior Center at (210) 302-6860, or read the latest online publication to see what's new!